Oh my gosh! We almost forgot about this! 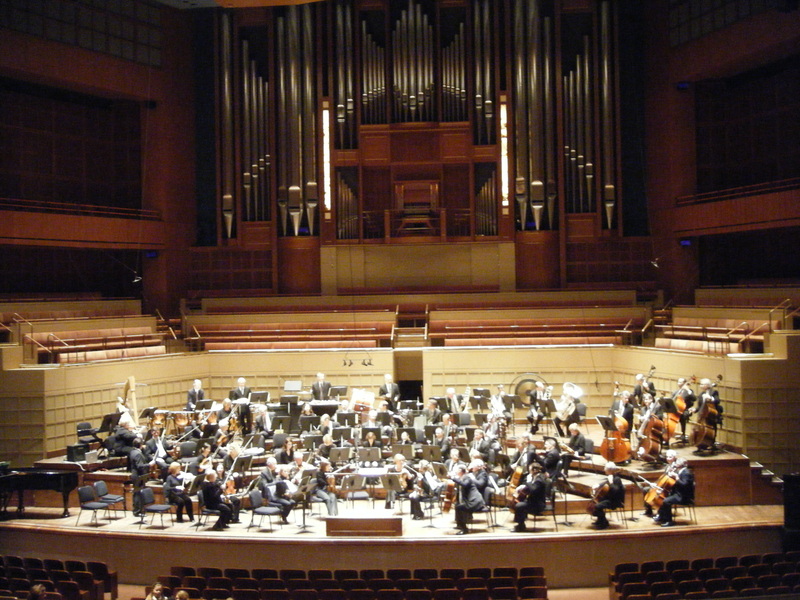 The Dallas Symphony Orchestra puts on really great programs for school children. And, yes, if you homeschool, you qualify. They require, however, that seats be purchased/reserved at the beginning of the school year so they can plan their programs. So this snuck up on me! We went to a program called ‘Musical Families’ in which each of the families of instruments were introduced (color coded so it was easy for the kids to pick them out), the differences between the instruments in the families were described, each played a piece of music, and then all of them played together. 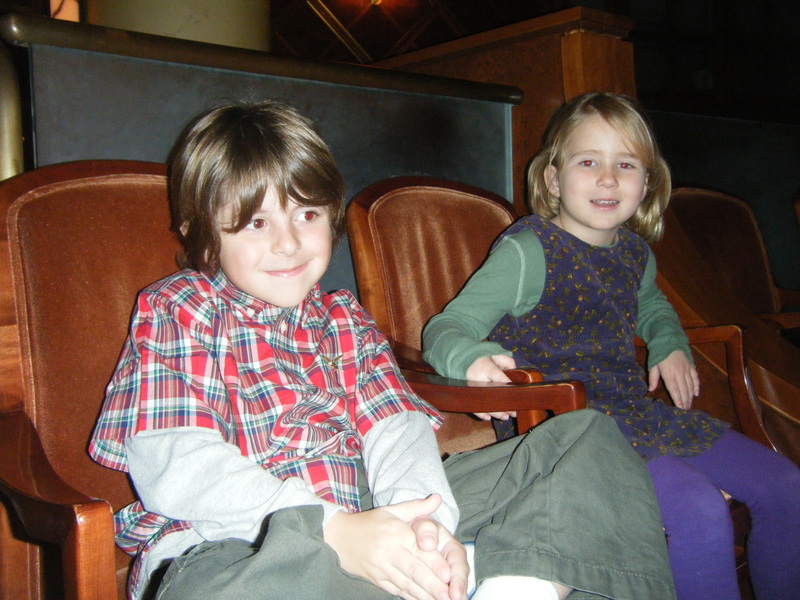 As homeschoolers, we got the best seats in the house again this year- in the boxes! We all enjoyed this program very much. The length (45 minutes) was perfect as the kids’ attention was beginning to wane at about 40 minutes :). The DSO organ is world reknowned and justifiably so- it’s collossal pipes and sound are amazing (and hearing the Adams Family theme song on it was so fun)! Elijah likes making guitars out of anything open and various thicknesses of rubberbands. 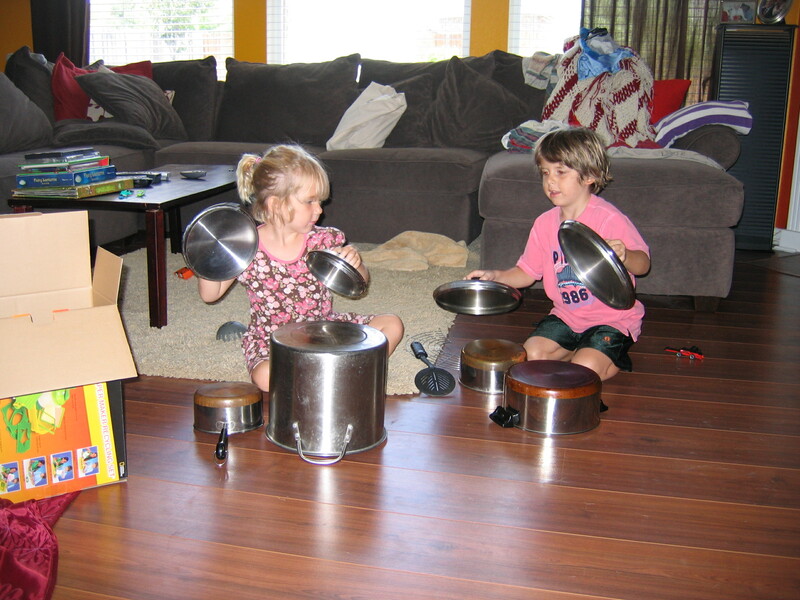 I went out shopping one day and came home to this- 3 rock stars with a rehearsed show to put on for me. They had it all- fashion (clothing optional), presence, and rock! It’s like music and comedy all at once. The kids made their own ‘guitars’ out of shoeboxes and different sized rubber bands. Elijah made a bass guitar like Daddy’s using some very thick rubber bands that make a much lower tone when strummed. They decided that we must get the band together and have a show! Shown below is 3/4 of the band in action. We rocked it to classics like Row, Row, Row Your Boat; Twinkle, Twinkle, Little Star; and (our favorite) The Scooby Doo television theme song. I have video that I’ll post when I can figure out how to get it off the camera. 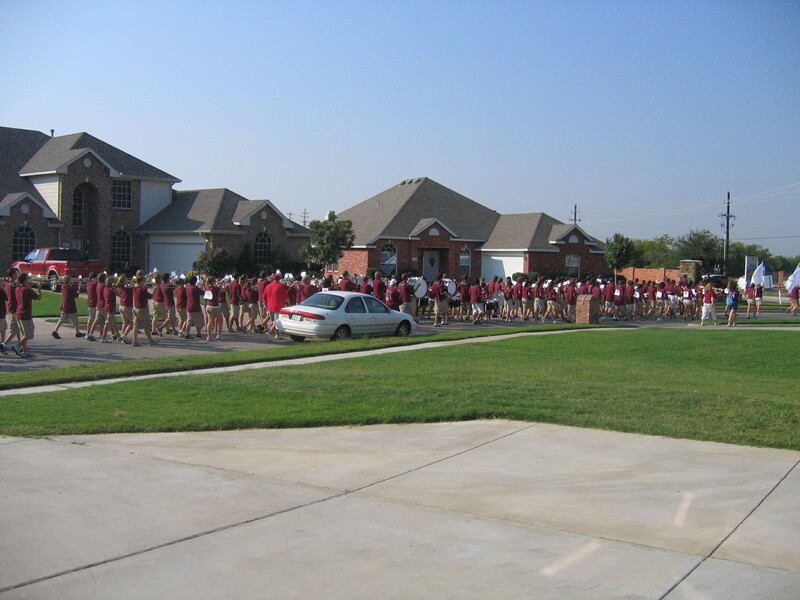 The high school marching band is doing a fundraiser by walking through the neighborhoods that ‘feed’ the school and stopping at local businesses. We loaded into the wagon, grabbed the $3 from my wallet, and followed the procession to a local shopping plaza for more music! What a fun way to start the w/e! As we waited for the shredded paper to soak up the water to blend into pulp (see papermaking post), Sadie felt inspired and emptied out the cabinet that holds the pots and pans. 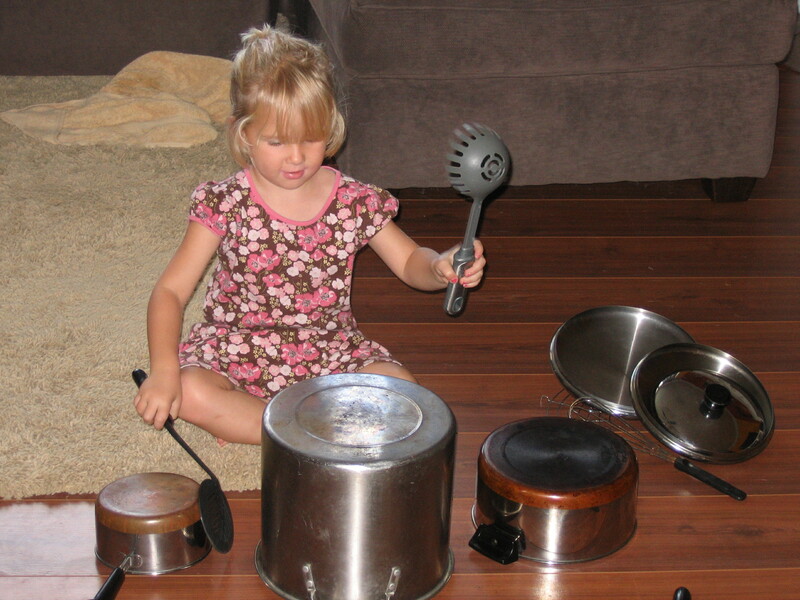 She arranged them carefully and requested some different tools with which she could make a variety of sounds- metal, wood, plastic. 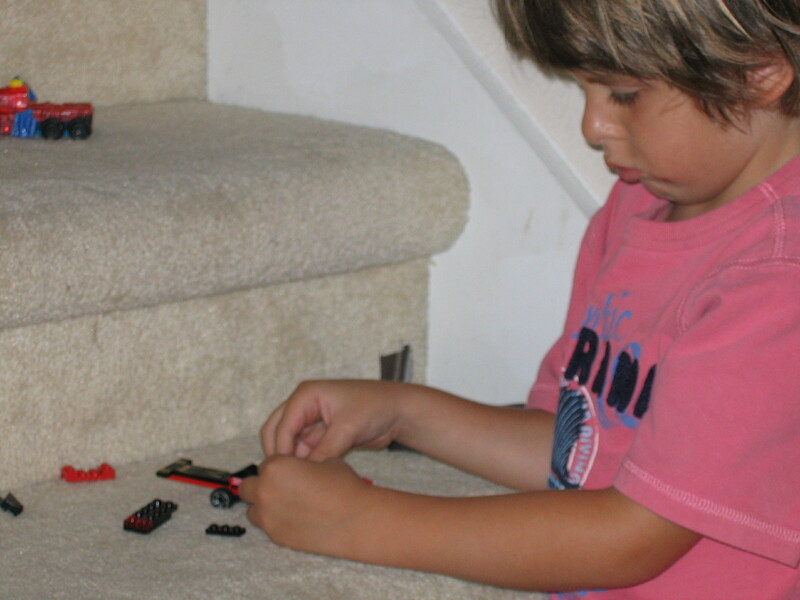 Elijah was quietly building and rebuilding various styles of Lego racecars on the stairs when he heard the ‘music’ and was invited by Sadie to join.